We aim to create a sustainable, peaceful, healthy and prosperous world — what we sometimes call heaven on earth for shorthand.We hold a vision where, not only are everyone’s basic needs met while living in peace, but the very best in all of us is expressed and humanity’s full creative potential is set free.This is a world in which we know we are one sacred family and are united in our divinity, while celebrating our diversity.Undeniably, there are immense challenges on the road to this ‘better’ world and as Albert Einstein famously said, “You can never solve a problem on the level on which it was created”.Because of this, we are working to upgrade the ‘human operating system’ by... Supporting people to unlock their full potential through transformative education and media. Inspiring everyone to bring their unique gifts to the world and create real, tangible change. Celebrating and spreading the most effective and innovative ideas and practices that are transforming the way we live. Sharing openly about our own efforts in social change via lobbying, activism, philanthropy and more. 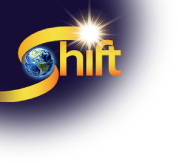 Connecting global citizens who are called to create a better world into a network of millions around the planet.Our intention is to share the very best in personal and societal transformation, so that together, step by step, we’re shifting the way we do things on this planet and creating a beautiful world that works for all.We call ourselves the Shift Network because it will take millions of connected, activated, inspired citizens to enact the changes that are possible. A network of inspired hearts, awakened minds, and dedicated souls.This is what we’re creating and we’re well on our way, having served over 800,000 people worldwide with customers in 150 countries and having featured over 1,000 thought leaders in domains as diverse as spirituality, peace, holistic health, psychology, parenting, enlightened business, indigenous wisdom, and sustainability.We’re committed to shifting our world, sober about the challenges that lie ahead, and inspired by what is possible.And of course, we’re so very grateful for your partnership in this important work.